Gary Eirich has 36 years open & cased hole logging experience with primary training at Haliburton Services. Gary has been instrumental in Horizontal E-Coil development. Rudy Slaney has 35 years of cased hole & slick line experience. Rudy has spent the last 10 years in Calgary Sales. 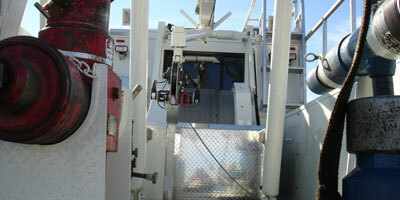 Chris Eirich has 20 years of Cased Hole Logging & Perforating. Chris has spent the last 5 years developing our Horizontal E-Coil Division. 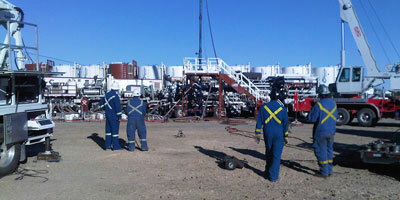 Big Guns Wireline Services is committed to continuing to provide quality wireline services to its customers while providing a safe work environment for it's employees. 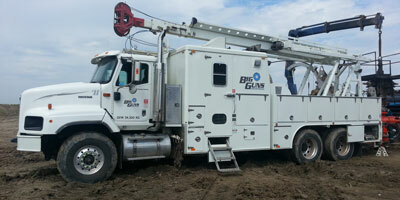 Big Guns Wireline Services is focused on providing horizontal wireline services to a rapidly changing industry. 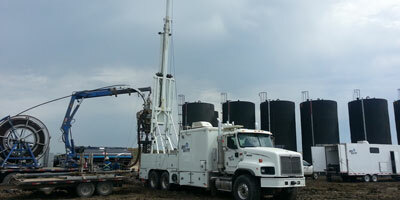 We believe that all vertical wireline services can be ran in horizontal well completions and work overs. Big Guns Wireline Services plans to continue to grow their business as industry requires by adding more service locations along with quality personnel. Big Guns Wireline Services future will see more service districts in strategic locations to help deliver safe, efficient, quality wireline services to its horizontal and vertical wireline and E-Coil customers.